This month celebrates 2 years we've had this wonderful group! I love these ladies and am so happy that we get to share these fleeting moments of our lives together. I have been in a creative rut. We are visiting my parents in California and it has been hot beyond belief. We've spent our time between air conditioning and brief stints in the pool. 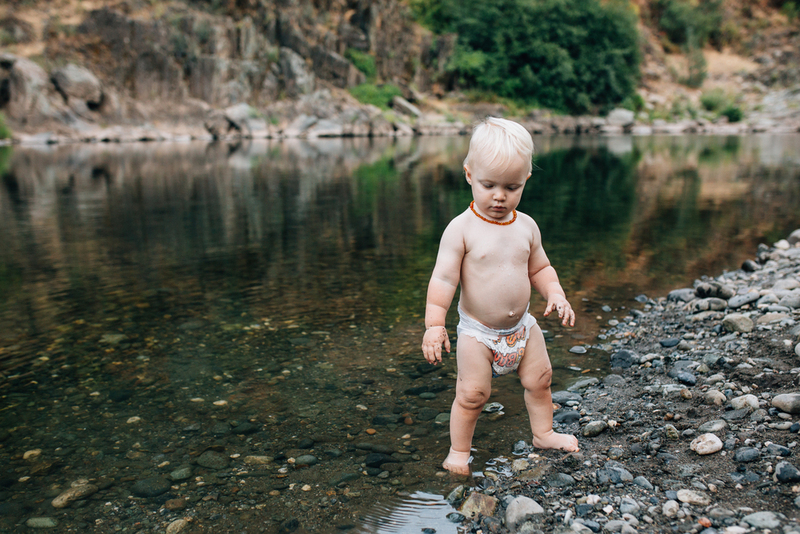 Last week there was a break in the heat for a day and we decided to adventure to the river. It's about a 15 minute walk from parking to the bank and every time Atticus would get a glimpse of the river he would try and escape his Ergo Carrier so he could get in...even though we were 50 feet above it. We finally reached the bank and the kids were in the water within seconds. The whole time I was getting him undressed, Atticus giggled and giggled. 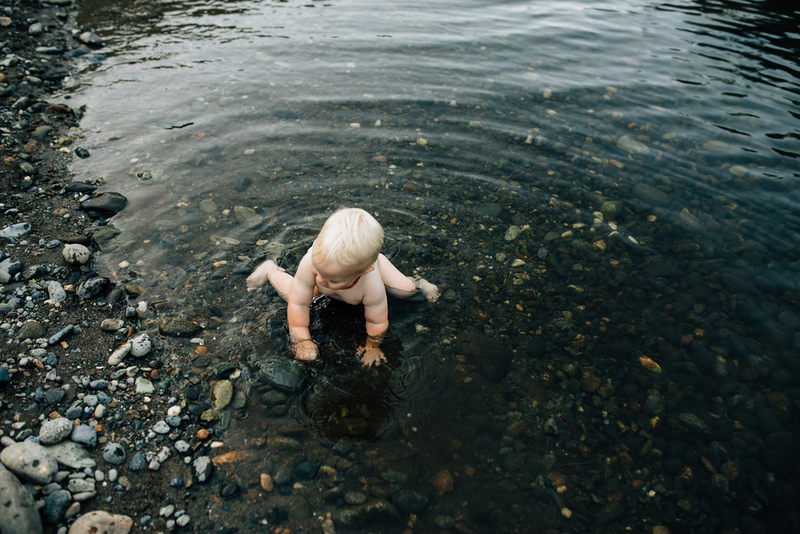 He spent the whole time throwing rocks, while Scarlett practiced swimming, paying little attention to our warnings of currents and that rivers were different from pools. I spent the time feeling creative energy flowing again and waded in the river with my jeans on as I forgot suits for all of us. At some point the fun turned to tears, then back to fun and we spent the walk home skipping and racing Grandma and Grandpa. My 30 minutes are from our time in the river and they were a splendid 30 minutes. When you are done, be sure to visit the amazing Sahsha of Rubylee Photography.